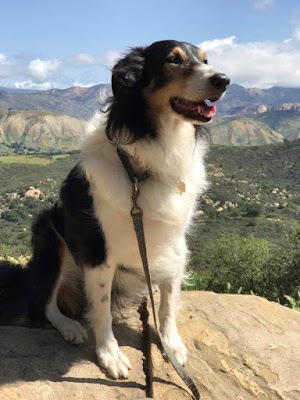 All things Collie: Something to bark about! 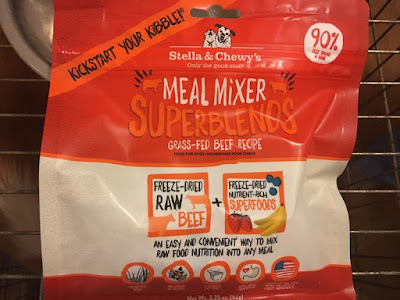 This month our friend Ms. Sydney, over at Chewy.com, sent us a package of Stella & Chewy's Super Blends Cage Free Beef Recipe Meal Mixers. 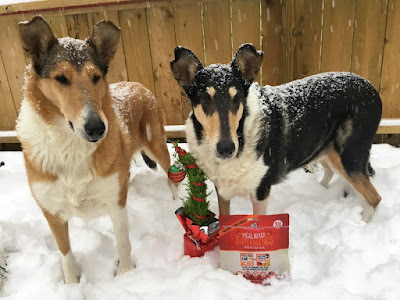 We were excited to try this freeze dried food, as we love adding things to the collies' dinners to make sure they are getting good nutrition and to make their dinners a little more tasty. It sounds great right? We thought so too, and we love that it is made with cage free, grass-fed beef! The fruits and veggies are organic, and the beef is also antibiotic and hormone free, which is something we love to see in a quality dog food. Each package of Stella & Chewy's Superblends Meal Mixers comes with a nice little measuring scoop, for added convenience. 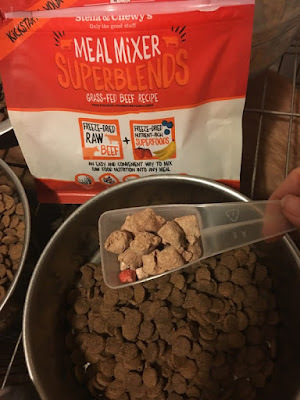 And the Superblends isn't only a food topper, it can also be fed as a complete dinner when water is added. 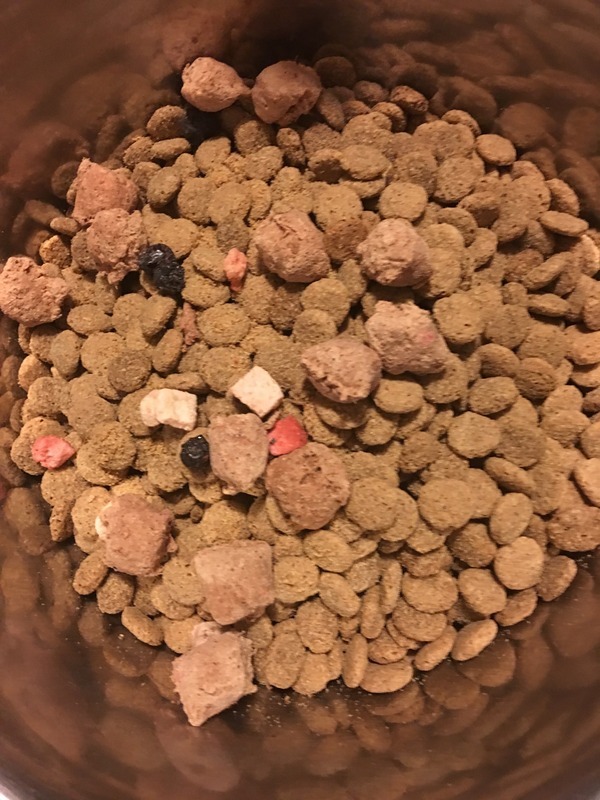 And look, you can actually see the little bits of freeze dried bananas, blueberries and strawberries right in the food! It has all the nutritional benefits of a raw diet, without the mess. 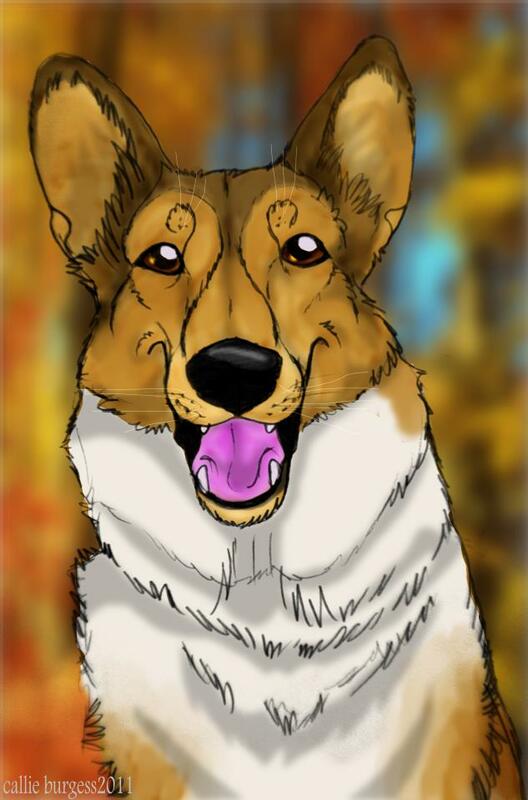 Now that is something to bark about! And the collies all agree, 100%, that this food topper is the tops! 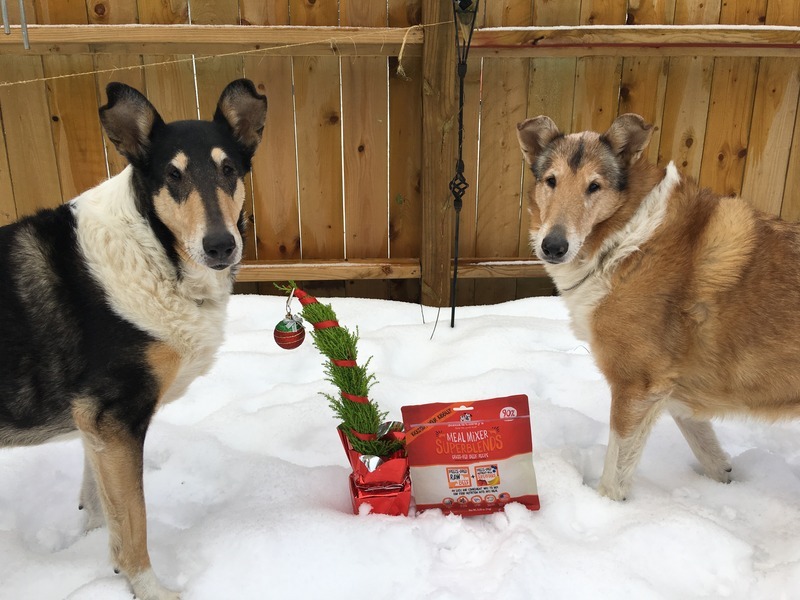 They couldn't get enough, and they have been begging for more ever since they got their first taste of Stella & Chewys Superblends. They have been trying to convince me that it would make the perfect Christmas gift. "Fahoo fores dahoo dores,Welcome Christmas, Christmas Day..."
You can order your Stella & Chewy's Superblends Meal Mixers at Chewy.com. And if you prefer a different protein source, they offer a Duck,Turkey and Goose version, or a chicken version. We were sent the bag of Stella & Chewy's for free in exchange for our honest opinion. 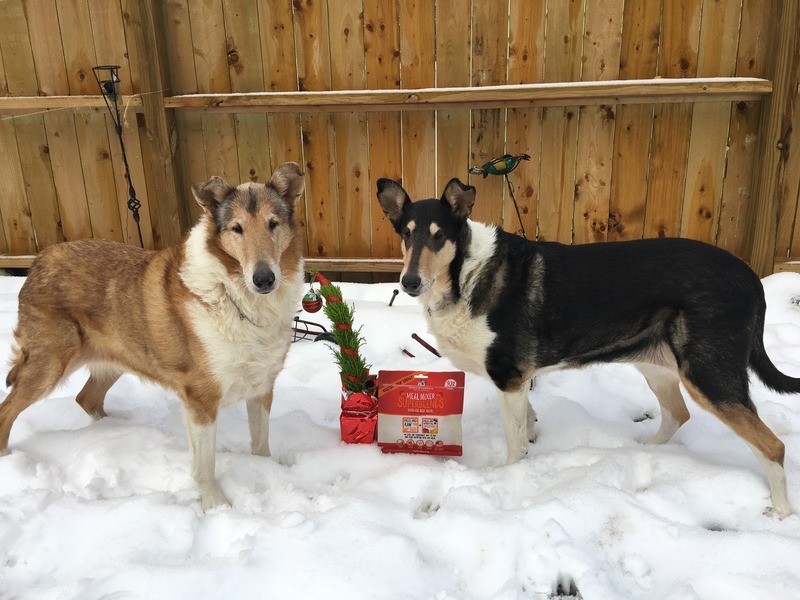 And the collies and I are in agreement, this is a great product and we will definitely be adding it to our collie's diet. 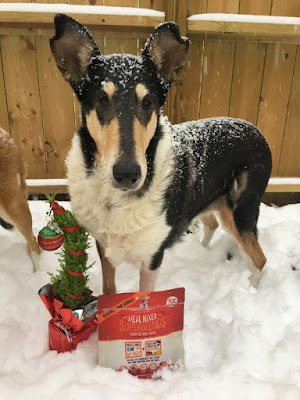 So if you don't want to be accused of being a Grinch, you should head over to Chewy.com right away! 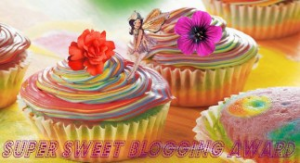 Looks like a tasty food! Great review on a yummy product! Have a good week. 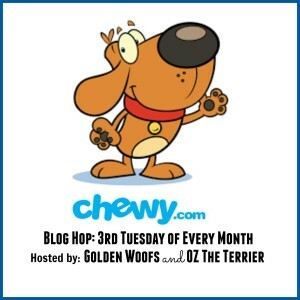 We had the Stella & Chewy chicken patties a few months ago, and they were wonderful. 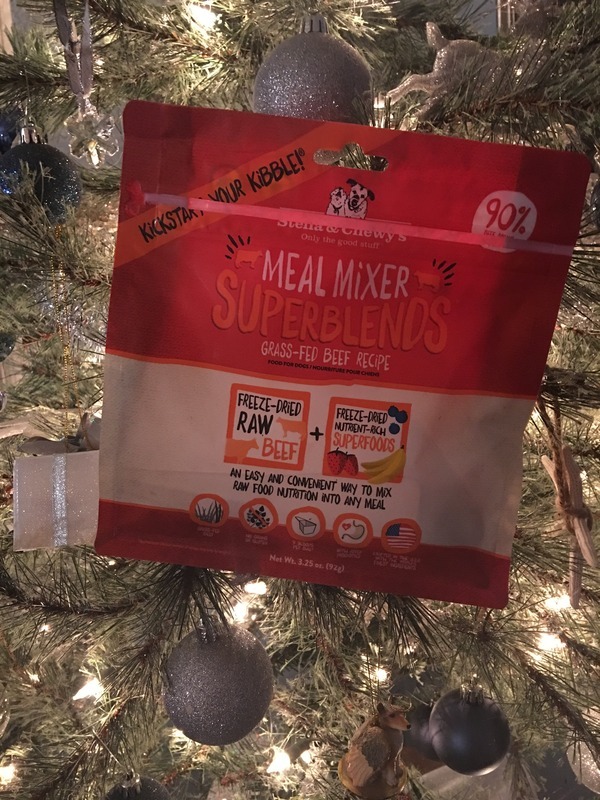 Another great product AND review! I love this kind of food and I hope we will find it here in our stores too... that's a super idea! 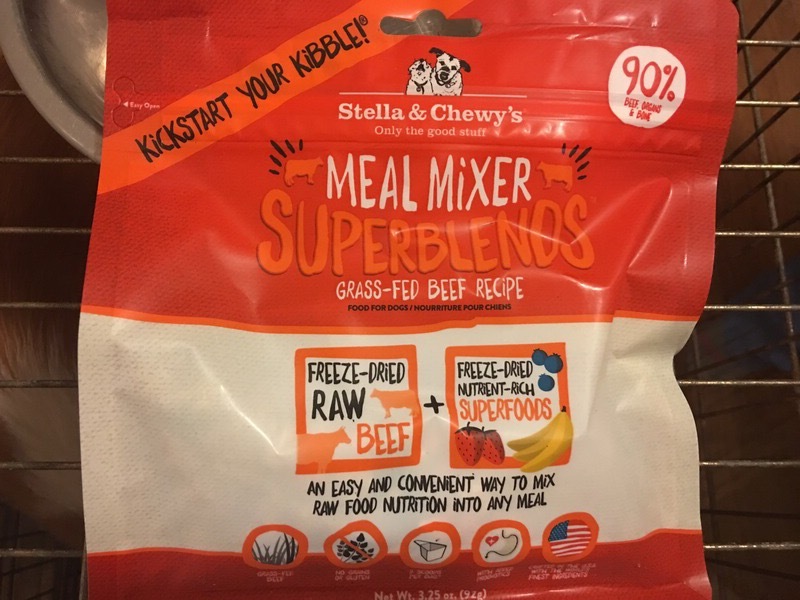 We love stella & chewy, great review!